Online shopping is always a risky business, and these people really didn’t get what they ordered! Everyone knows online shopping can go wrong, so so wrong! But we do it anyway because the bargains are just irresistible. However, for this people a bad delivery meant a lot more than a different color dress or a smaller skirt. It was so bad, they might end up needing some extra retail therapy after this. Hopefully, not online! It’s really easy to buy a dress one size too small, but chairs? Not so much. 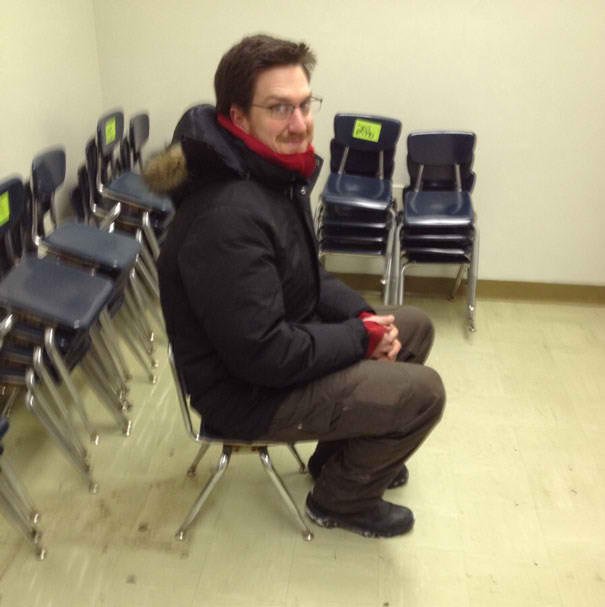 This teacher accidentally bought chairs that were meant for children, and transformed himself into a giant in the process! Mistakes happen, but this guy didn’t get the wrong size, he got the wrong shoes! These boots really aren’t hiking appropriate, but he sure could walk the runway! 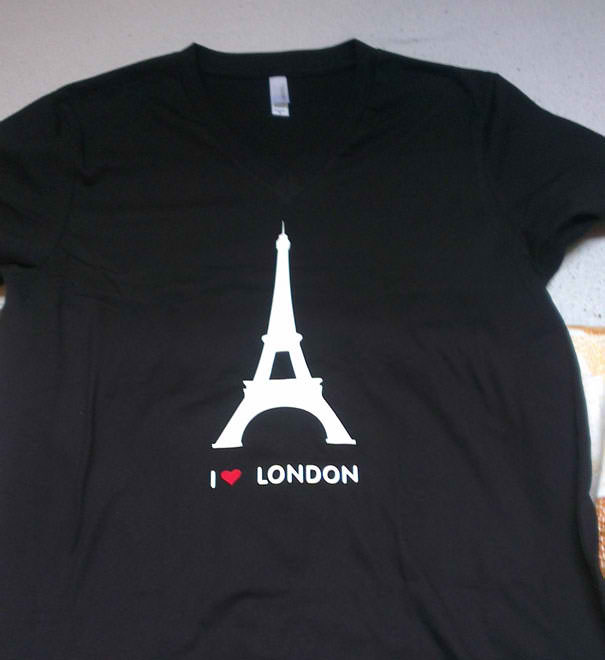 ‘I Love London’ tees have been in fashion for years, but wearing this one might not be the best idea. This inaccurate design isn’t going to go down well in England, or in France! Buying tights as a guy can get you some weird looks, but it’s better than what happened to this guy! He accidentally ordered some tights small enough for a Barbie doll, so if you ever want to do drag, maybe just ask your mum to go to the shop for you! Sometimes when a deal seems too good to be true, that’s because it is. 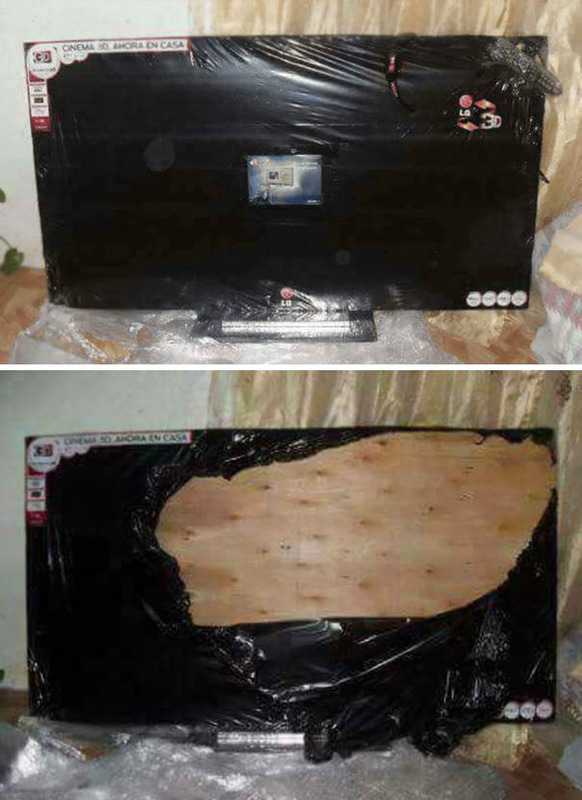 Ordering from a shady website got this family a plank of wood instead of a TV – don’t make the same mistake! 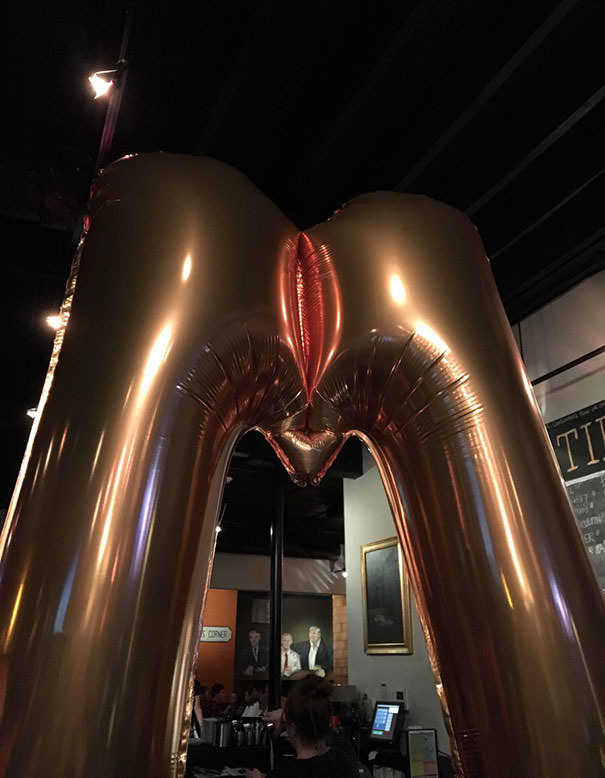 Yet another reminder that checking the size of an item is always important! 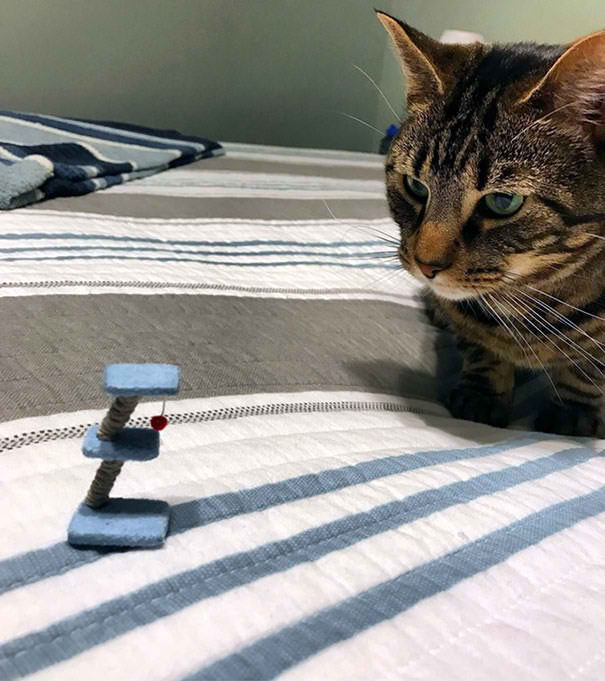 This cat scratch post isn’t even big enough for a kitten, and this cat does not look impressed! This might not be what the person ordered, but if I received these in the mail I’d probably be thrilled. 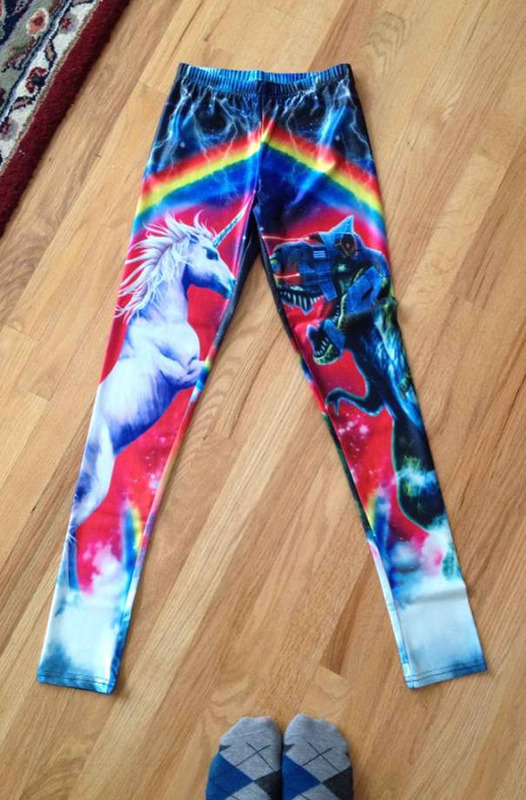 Two unicorns fighting isn’t exactly the same as plain black sweatpants like this person originally ordered, but they did literally brightened their day! 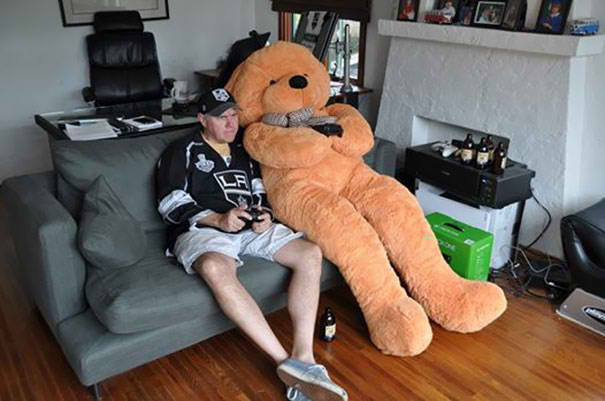 This guy ordered a valve from the internet, but he got a brand new friend instead! It’s about as far away from what he ordered as you can get, but he seems pretty happy with it! Sometimes it’s hard to tell that a copy of a brand is fake, but it’s the little things that give it away. 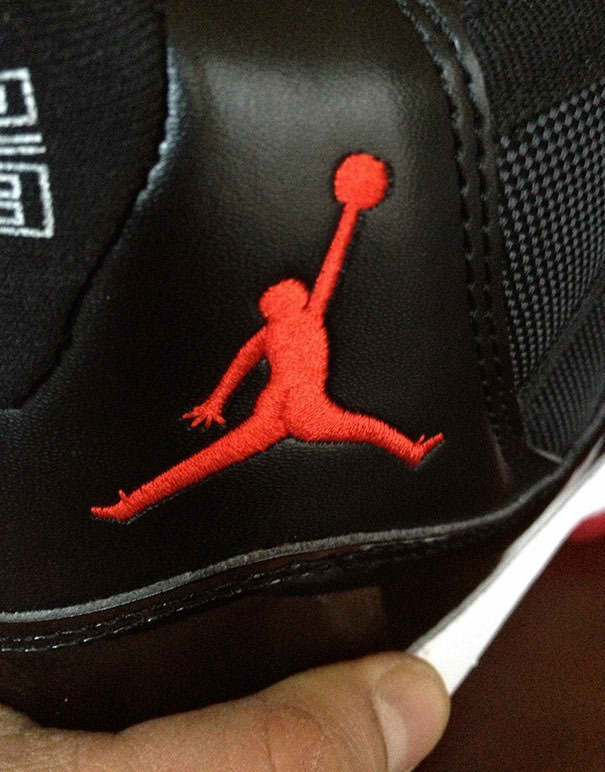 These Jordan’s seem fine at first, but looking closer the logo is just a little too naked. Face masks aren’t supposed to be pretty, but this one is downright horrifying! 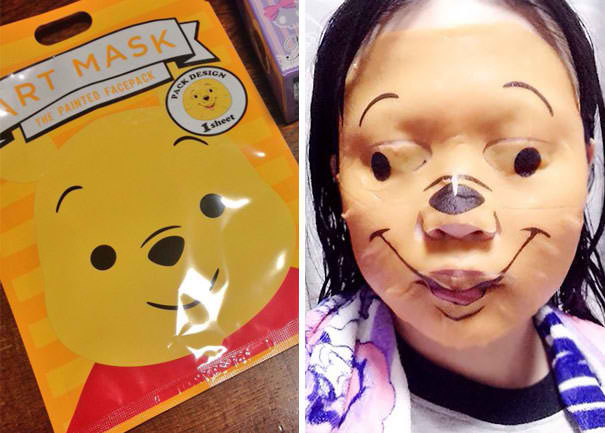 It might be one scary pooh bear, but to be fair, it could be great for your skin! It’s one thing to get an item in a different size or color, but this goes way beyond that. 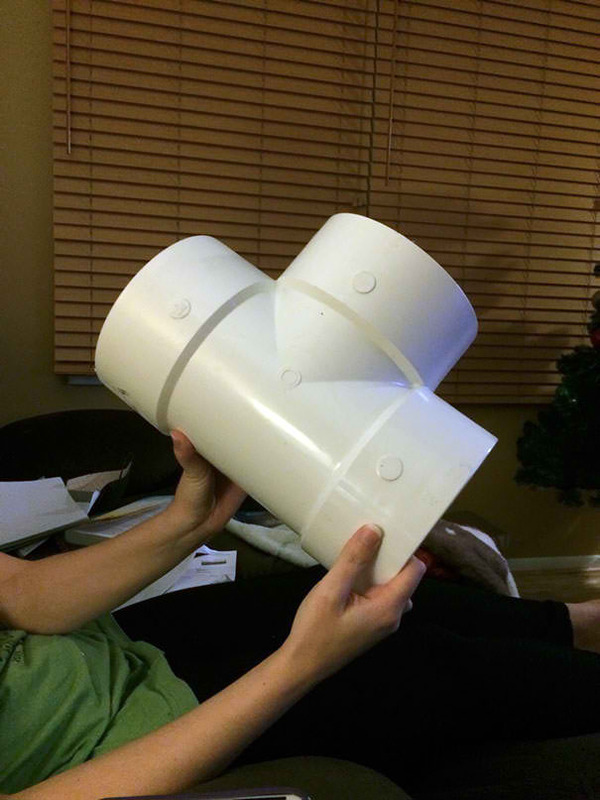 This girl ordered a jacket, but got some weird pipe thing that wasn’t even on the site to begin with! This guy might have been sent the wrong thing, but it seems like the opposite of a problem! 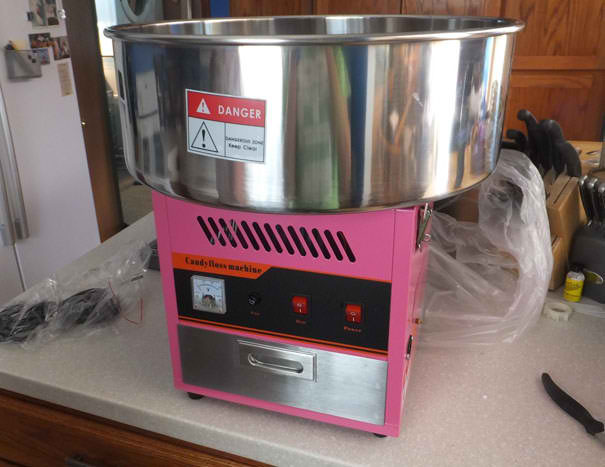 After-all, if I were sent a cotton candy machine instead of a deep fat fryer, I’d probably throw a party! The internet is a scary place, especially when you can interact with the criminal underworld without even realizing it! 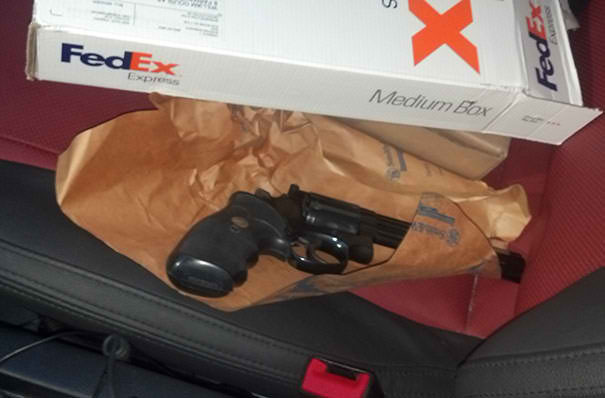 This guy ordered an Xbox but got a pistol instead, so either it’s a threat or he accidentally tapped into some criminal code! This must have been super frustrating for the buyer, but I have to admit it’s pretty clever! 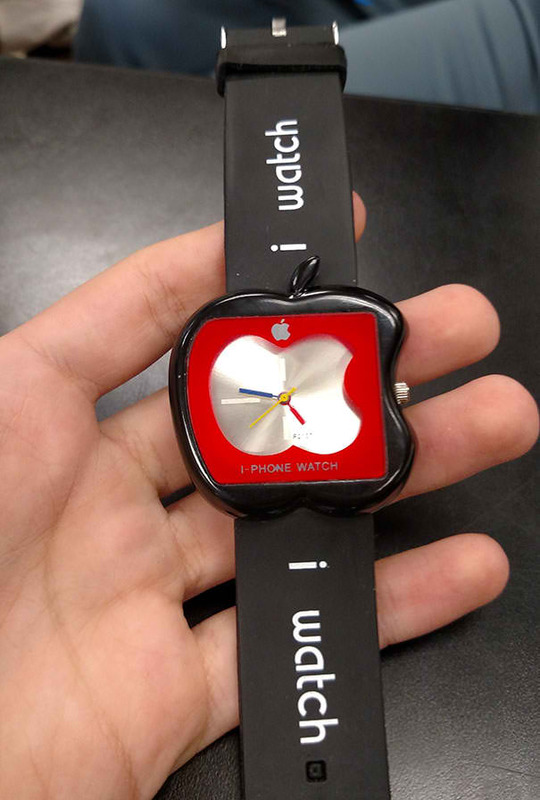 This Apple watch might not be able to play music or track your steps, but it certainly gave me a giggle!